Until there’s a cure … Cleaning For A Reason. Move-in, move-out and one-time cleanings also available! They are the safest products you can use to make your home sparkle. Mixed from soap, white vinegar, baking soda, water and essential oils, they can make your home sparkle without harming your health. Regular Cleaning Products- they kill 99.9% of the household germs and common bacteria and fungi.The deepest and strongest cleaning ensures that you get perfect results while eliminate the toughest of odors. "We have been using Euroclean for the past 5 years. They are very reliable, always on time and do an amazing job keeping our house clean and tidy. We are busy family with 3 kids and Petya and her girls really make our life much easier providing us with their professional services. They work around our schedule and do everything we require them to do. 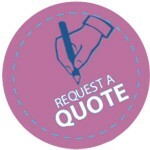 We recommend them to everyone who is looking for a good and trustworthy cleaning service." "I have worked with Euroclean for the past 7 years and I have never been disappointed. They are extremely thorough and do an amazing job cleaning my home. Euroclean is dependable, trustworthy and very professional. I always feel very comfortable with Petya in my home as she is so kind to me and my family. I have recommended Euroclean to several of my friends through the years and everyone is always very pleased with their services. 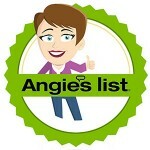 I highly recommend them if you need help maintaining your home." Excellent! My wife is a meticulous cleaner and terrified about someone else cleaning the house for her as they could not do it as well. She was wrong. She was very pleased with the service. Now she has her Saturdays back!